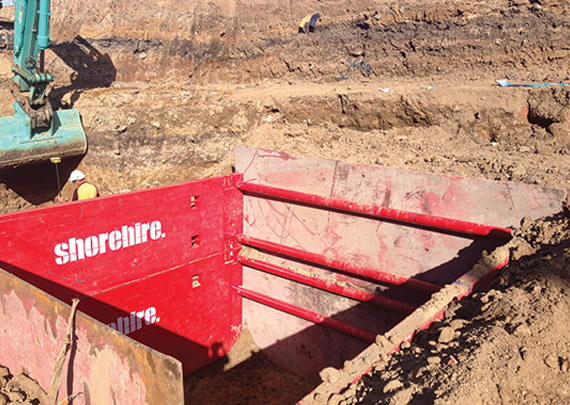 Shore Hire’s 6M-40 Trench Box is designed for large excavations. 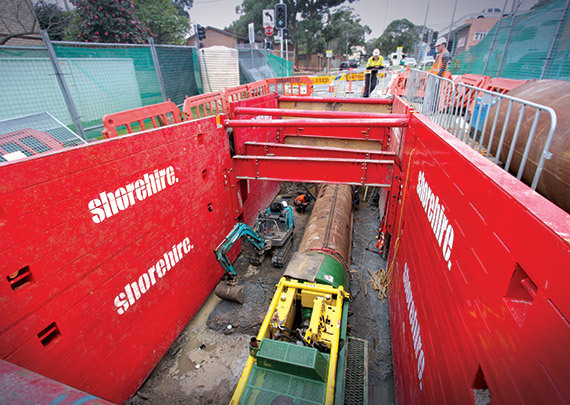 The Shore 6M-40 Trench Box is engineered to handle large scale excavations where longer shoring boxes are required. The 150mm thick wall has been designed to meet the special needs of large pipe installation, boring pits, pump stations or projects where long pipes are being laid. This range of trench boxes guarantees you heavy duty performance in demanding conditions and depths can be increased by adding a 1.5m top extension unit. The 6M Trench Box also allows the use of Shore Hire’s high clearance arch spreader system, which gives the advantage of greater clearance under the lower strut, for the installation of large diameter pipes and culverts. 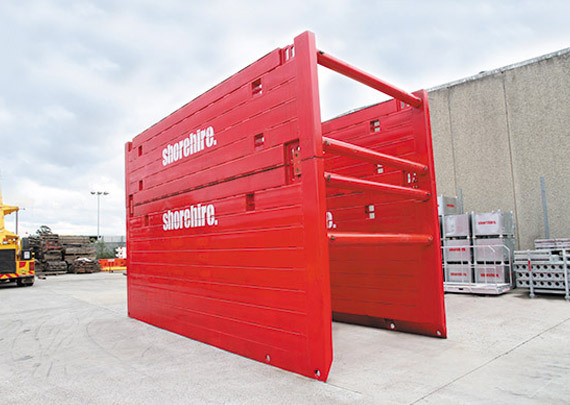 Shore Hire’s trench boxes have been used in a variety of projects including Tullamarine, Padstow and Penrith. The Shore 6M Trench Box is designed for large trench shoring applications including large pipe installation, boring pits, pump stations or projects where long pipes are being laid. 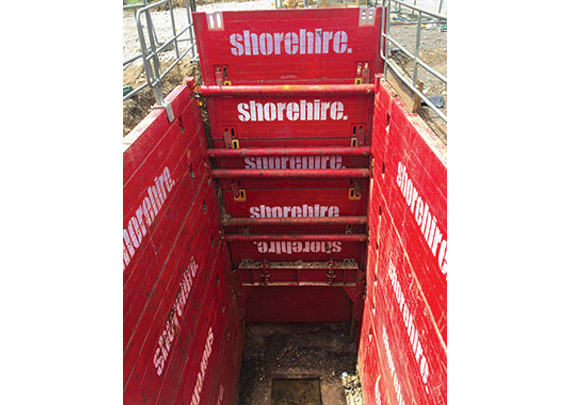 Our 6m trench boxes are part of Shore Hire’s full range of box shoring systems including 3m trench boxes, 4m trench boxes and 3m manhole boxes. Full technical support is available to the correct installation and use on your next project.